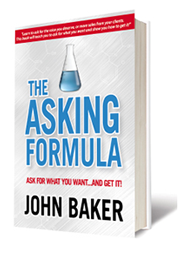 Higgins will leverage Baker’s intellectual property “The Asking Formula” in his current sales and service performance programs. SAINT PAUL, MN (May 10, 2016) – John Baker today announced a strategic partnership with Gary Higgins to integrate Baker’s award-winning program, “The Asking Formula,” into Higgins’ current sales and service performance training platform. Higgins, who also leverages the strength of Miller Heiman (now MHI Global), offers a powerful package of sales processes and tools to drive sales performance and connect with customers. This partnership will further help organizations maximize the potential of their teams while delivering additional value to clients. Additionally, Higgins will leverage ASK UTM, an ongoing training application of “The Asking Formula.” Users learn ongoing lessons from John Baker through interactive, video-based content, and cloud-sharing technology on mobile devices. Especially useful for skill practice, peer-to-peer sharing, and performance validation, it puts “The Asking Formula” into the palm of the user’s hand. “I’m especially excited to share ASK UTM in my sales and account management process training. Many clients are geographically dispersed, making it difficult to provide ongoing reinforcement and coaching. ASK U connects teams in a highly efficient fashion, to collect feedback, connect with their peers, and practice their ‘asks’ wherever they’re located and whenever they want.” stated Higgins. ASK UTM is currently an enterprise-packaged solution, available on iPad®, iPhone® and AndroidTM devices. Baker is the President and CEO of READY Thinking Worldwide: leading provider of thought leadership and training programs, including The Asking Formula. He is the author of two award-winning books: READY Thinking – Primed for Change and The Asking Formula – Ask For What You Want…And Get It. Gary Higgins is the Owner & Founder of Higgins Sales Associates, Inc. Higgins has facilitated programs in Strategic Selling®, Conceptual Selling® and Large Account Management Process℠ (LAMP®) to hundreds of teams in multiple organizations throughout the US and Europe. His previous work includes Director of Sales Training & Development at AT&T Wireless, and 16 years of sales experience at IBM. 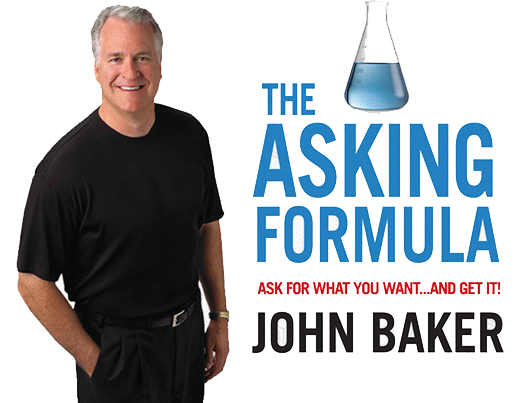 Comments Off on John Baker and “The Asking Formula” to Begin Strategic Business Alliance with Leading Sales Consultant Gary Higgins / This entry was posted on May 25, 2016 by .